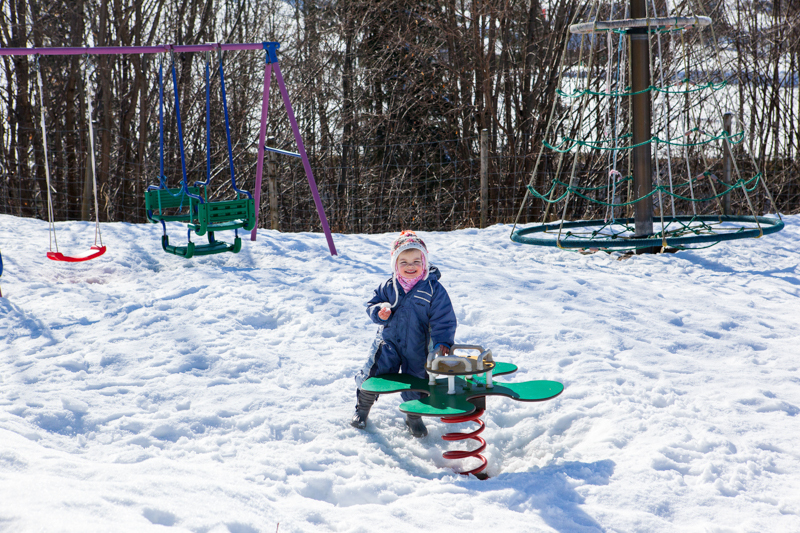 Looking for family friendly winter activities in Switzerland that are recommended by families just like yours? Welcome to the winter series on Simple Family Travel all about discovering tried and tested family friendly destinations to enjoy on those winter days. You’ll discover not only where to ski or sled (or in some cases Spa!) but also the best way to get there, which skiing abilities the area caters to, where to rent skis and which restaurants to try. I couldn’t let the series go on without add one or two of our family favourites and today I share with you our families secret tip for a stress free ski destination, Neusell in Rothenturm/Biberegg, Kanton Schwyz. 1. Where is your favourite place to ski? Last season we discovered the small ski area of Neusell which is located in Rothenthurm/Biberegg, Kanton Schwyz. 2. What’s the best way to get there? What’s the parking like? Train Station/Bus Stop close by? We always drive, just a 45 minute drive from Zug and love this area because you can park right at the ski lift. No getting ready and taking a gondola here. Getting from car to slope is as quick as you can get your ski boots on. Just put Sagenlochstrasse 11, Rothenthurm in your navigation. If you choose to use public transport, the ski area is just a 7 minute walk from the Biberegg bus and train station. Take a train from Zug to Arth Goldau and swap for the S31 in the direction of Biberbrugg. Your stop is Biberegg and it takes only 36 minutes. 3. What ability does the area cater for? 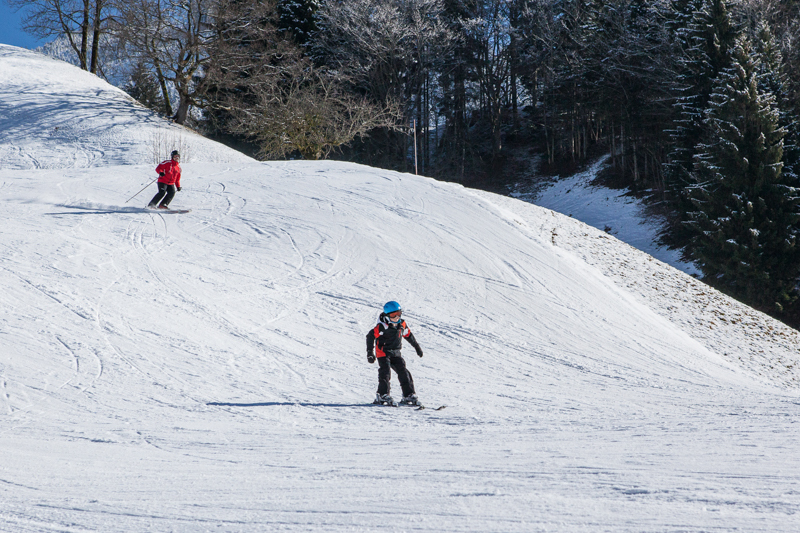 Neusell has two red runs and a blue run as well as an area for young kids. This ski area isn’t very high starting at 950m so always check to see which runs are open in advance. Our older two children easily went down the red runs. 4. Is there a ski school? What facilities are there for beginners? Yes! We have never used them personally but the Swiss Ski School Rothenthurm operates out of this ski area. The ski school starts this year from 26. December and runs on Wednesday afternoons and Saturday and Sundays. There are courses in groups or private lessons available and private lessons are also available with a minimum 2-hour lesson. A bonus is the small kids area off to the side of the ski area for the absolute beginners with its own short drag lift, and which is free to use. 5. Best place to rent skis nearby? We recommend Tony Sport in Rothenturm and Sattel, where we rent our skis for the season. They are open at on Saturdays and weekday evenings at their Rothenthurm location or daily during ski season at the Sattel Hoch Stückli Gondola station a short drive up the road. 6. Anything for non skiers to do? Sledding/Snow shoeing/Winter Trails? There is a small sled run off to the side of the ski area in Neusell as well as well signed posted winter hiking trails. This valley is quite flat so a pram could probably go on these walks, or the more adventurous could pop on some snow shoes and head up! 7. Best place to warm up? Anything yummy we should try on the menu? There are four different restaurants to try but our favourite is Restaurant Beaver Creek. This western themed restaurant doesn’t have to be reserved for the winter time, because summer is fabulous too with its outdoor playground themed around the “Wild Wild West”. In winter they have chairs set up so you can enjoy a “Schmulippflumli” in the sunshine while the kids pretend to be cowboys or cowgirls! 8. What sets your ski area apart from the rest? We love this area because its easy to get to, small, a variety of abilities are catered for and we can go just for an afternoon or morning. They sell tickets for half days (morning session finishes at 1pm afternoon sessions starts at 12.30) as well as passes for 1,5,10 and 20 rides on the lift. 9. What’s one thing you never hit the slopes without? I had to ask my family members this question, because I am not the skier of the family. Their first reaction was gloves! Probably the most important thing not to forget. They also mentioned sunscreen and lip balm too. We use a big IKEA bag to keep all of winter stuff together. Easy to carry and big enough for the bulky winter items. Do you have a ski area you return to time after time that you would like to share with the Simple Family Travel community? It doesn't have to just be to ski - do you enjoy sledding? Snowshoeing? A spa?! We would love to hear your stories. Get in contact!